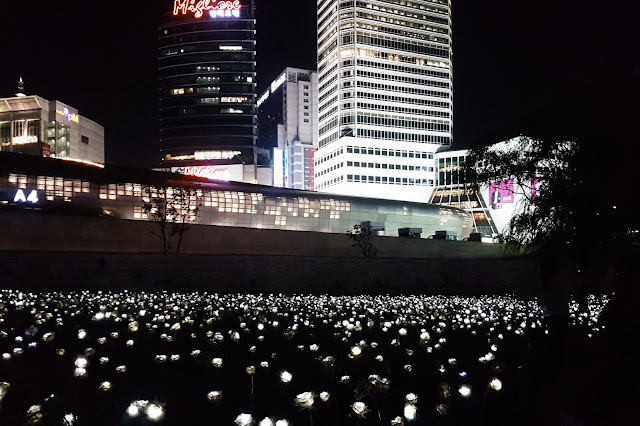 I went to the Dongdaemun Design Plaza (동대문디자인플라자) few times when I was in South Korea. I went there few times mainly because I used the nearest subway station exit and I went shopping and people watching at few malls and market nearby. Unfortunately, I didn't get to properly go into the building because it didn't cross my mind. All the pictures that I uploaded here were taken on my last night in South Korea. Dongdaemun Design Plaza has distinctive charms both during day and at night but I would suggest you to go at night so that you can see the ever famous DDP LED Rose Garden. 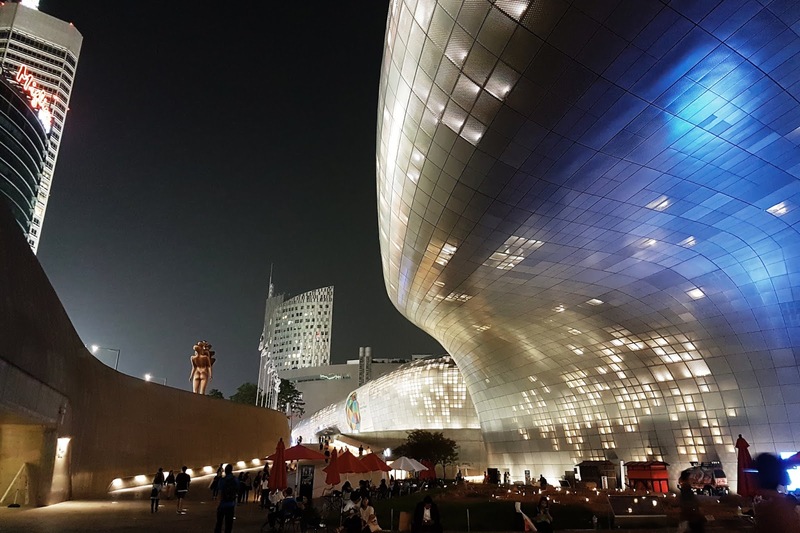 Tip: Go to the Doota Mall and have a seat to see the Dongdaemun Design Plaza from above. You'll enjoy the view. Also, this is one of the best spots for people watching. Tip: If you have hati tisu, please don't come alone as you probably will fee like a loser because most of the visitors here come with their friends or significant others. The DDP LED Rose Garden is quite big in my opinion. You probably will need about 45 minutes here if you're the kind of person yang setiap ceruk pun nak ambil gambar. Otherwise, 20-30 minutes would be enough, kot? I spent about 45 minutes here because I'm that kind of person yang setiap ceruk pun nak ambil gambar. lol. Also, I spent that long here because I was people watching the visitors. 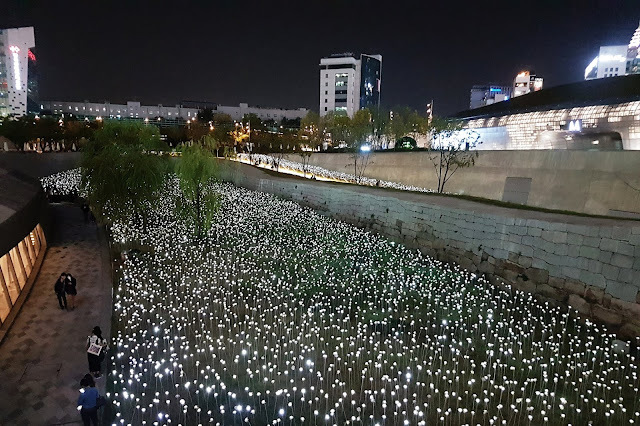 Tip: Some parts of the DDP LED Rose Garden are quite dark and isolated so please be extra vigilant. Betul. Kalau sikit, tak cantik sangat kot. Haha. The photos are so beautiful! And yes, this place is a must! Lay exo even dance in front of this building in his new song with Jason Derulo and NCT 127. Cantik sangat! Except I didn't get to see the LED roses. Maybe next time. LED rose garden tulah tarikannya di sini ya. Cantik. Betul, kalau datang malam baru nampak gahnya DDP ni.